You are given a tree and you need to do the level order traversal on this tree. 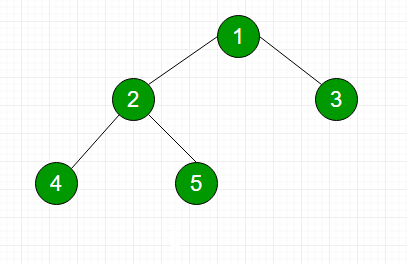 Level order traversal of a tree is breadth-first traversal for the tree. The task is to complete the method which takes one argument, root of Binary Tree. The struct Node has a data part which stores the data, pointer to left child and pointer to the right child. The function should print the level order traversal of the tree as specified in the problem statement. You don't have to take any input. Just complete the function levelOrder that takes node as parameter. Note: The Input/Output format and Example are given above are used for system's internal purpose, and should be used by a user for Expected Output only. As it is a function problem, hence a user should not read any input from stdin/console, and should not print anything on stdout/console. The task is to complete the function specified, and not to write the full code.